Yorktown High School graduate and New York Democratic congressional candidate Alexandria Ocasio-Cortez is finding her new political stardom skyrocketing this month. 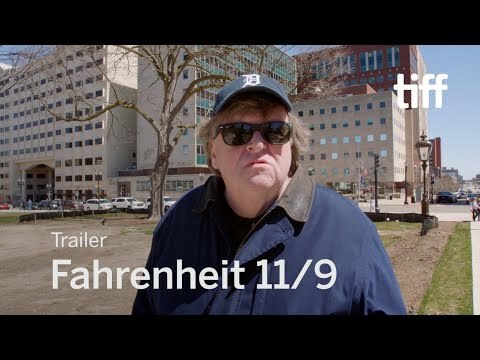 The Bronx native is featured is a new documentary by Michael Moore called Fahrenheit 11/9, a look at the fallout from the ascension of Donald Trump to the presidency on Nov. 9, 2016. And on Tuesday, Ocasio-Cortez congratulated her "sister in service" Ayanna Pressley, a progressive who won her Massachusetts primary in an upset over longtime incumbent U.S. Rep. Michael Capuano. Ocasio-Cortez, a Socialist Democrat from the Bronx who bumped off top-ranking Democratic U.S. Rep. Joseph Crowley in a June primary election, tweeted: "Congratulations to my sister in service, @AyannaPressley, on continuing her historic path into Congress tonight'"
"Let’s push together to make Medicare for All, tuition free college, & living wages a reality in America - all without corporate PAC money," Ocasio said. The 28-year-old, featured in this Daily Voice article about her Yorktown High School days, seeks to become the youngest woman ever elected to Congress on Nov. 6. She tweeted a photo of her with Ayanna Pressley, writing: "This photo was taken months ago. Pressley and Ocasio-Cortez "bonded over running while constantly told it’s 'not our turn,' that we 'weren’t ready,' 'good enough,' or 'experienced' enough. We kept going anyway," the New York candidate added. "In June, I won my primary," she added. "Tonight, she won hers. Here's to November." In Moore's new documentary about Trump, set for release on Sept. 21, Ocasio-Cortez says, "If nobody's going to do it, then I got to do it." Additional Daily Voice coverage of Ocasio-Cortez can be found by clicking here .